FABRICADOS EN VINIL DURADERO Y RESISTENTE. INTERIOR DE TELA SUAVE Y CONFORTABLE. CON NYLON EN LOS COSTADOS PARA UNA TRANSPIRACIÓN ADECUADA DEL PIE. SOPORTE EN TOBILLOS PARA EVITAR CONTRACTURAS. 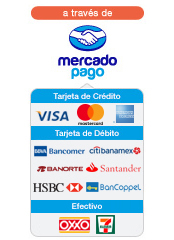 ****PREGUNTAR POR EXISTENCIA DE TALLAS ANTES DE COMPRAR.